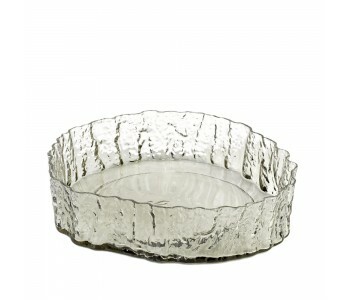 The glass Bark bowl is a large, flat-based dish with an upright edge. The detailed design is inspired by the bark of a tall, old tree. The clear glass varies in its shape, changing the light and making the objects in the bowl visible in different ways. The bowl is designed by Norman Trapman. 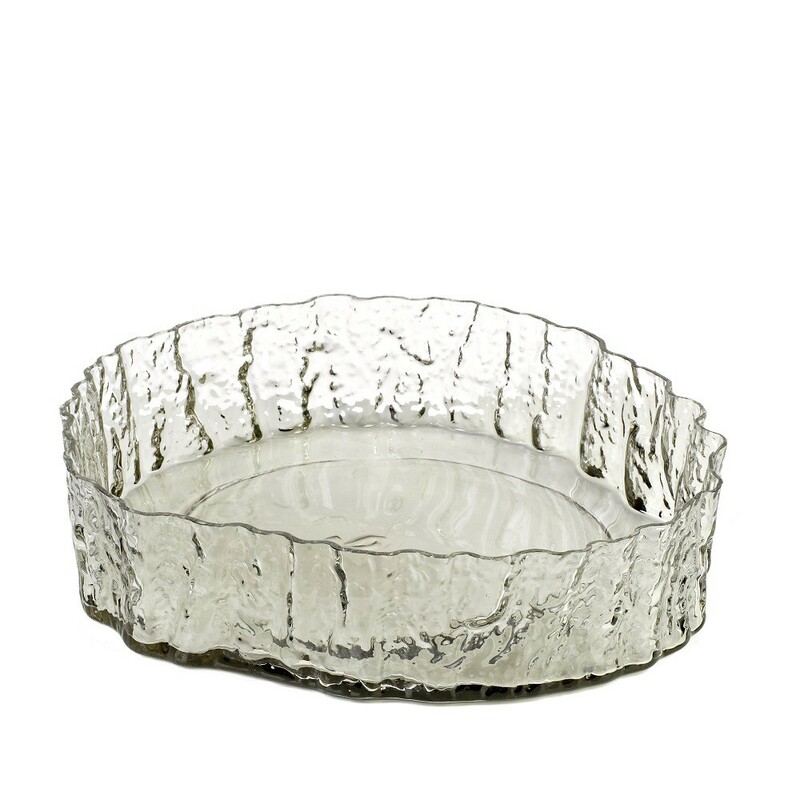 With this glass Bark bowl, you bring a decorative piece into your home that forms a focus point for your interior through its striking, organic shape. The combination of the flat base and the upright edge with a detailed bas relief makes you think of an old sawn tree trunk. A real eye-catcher for your table, as a display piece, fruit bowl, or simply to hold small items. The clear glass combines well with every table setting, modern or classic. You can do a lot more with bowls and dishes in your interior that you might first think. Apart from being practical or decorative pieces in your living room or on your dinner table, they also come into their own beautifully in a kitchen setting. Use the Bark bowl, for example, in combination with other designer bowls, to hold your fruit and vegetable selection. A lovely diversity can be created with bowls and dishes in various shapes and sizes. Using varying designs and colors, you can bring a fun yet stylish change to the look of your kitchen. Bringing you even more pleasure in the kitchen! Norman Trapman has worked closely with studio PP for years and they have designed and developed many successful products together. Including the iconic range of coral vases. Norman Trapman graduated in 1974 from the Royal Academy of Art & Design in Den Bosch and since then he has built a beautiful portfolio. Vases and dishes are his favorite pieces to design! Such as the Bark bowl. Take a look around our Pols Potten collection for more bowls and interior inspiration.